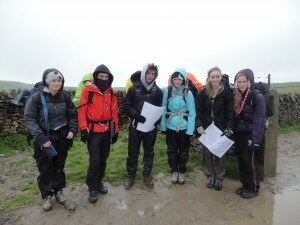 A Duke of Edinburgh programme is a real adventure from beginning to end. You need to be aged between 14 and 24 to take part in the award. You can do the programme at three levels, which when completed, lead to a Bronze, Silver or Gold Duke of Edinburgh’s Award. You will enjoy new experiences, discover talents you never thought you had, challenge yourself and meet similar people. Achieving an Award will give you skills, confidence and a view on life that everyone is looking for, from employers to colleges and universities. You will get recognition for doing things you want to do (and may even be doing already) and you will make a difference to other people’s lives and your community, be fitter and healthier, make new friends and have memories to last you a lifetime. You achieve a Bronze or Silver Award by completing a personalised programme of activities in four sections. Volunteering, Physical Activity, Skills and an Expedition. EDofE is an online system that means that all of the DofE programme and activities can be recorded online, where evidence should be uploaded and approved and it provides the best way to communicate with other participants and DofE leaders. In September 2012 Wilmslow High School was granted its own Operating Authority License. This year we are delighted to able to offer the Award scheme at Bronze, Silver and Gold levels.